RT018 No. 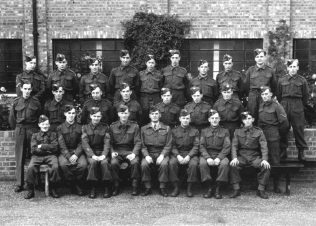 42 Platoon - Home Guard. Oct 1944. Ralph is standing behind the officer (front centre). FIELDING AND PLATT HOME GUARD. This photograph shows the final parade of the Number 42 Platoon, which took place in October 1944. 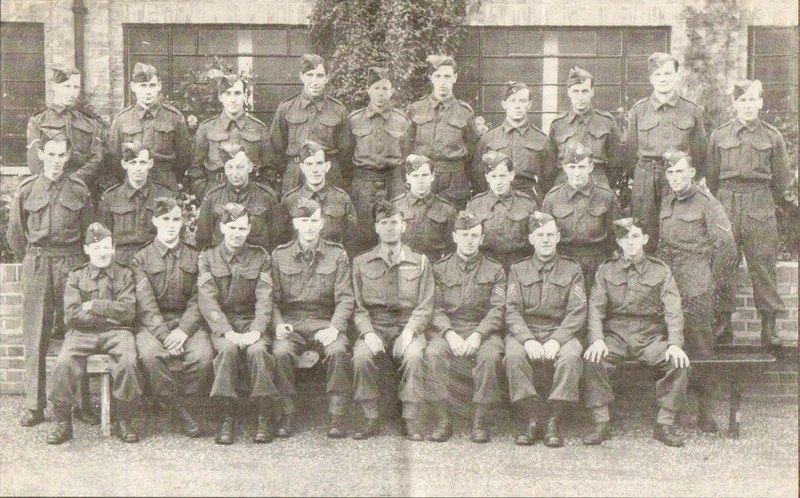 The photograph was supplied by Barry Roach, whose father, George Roach, is on the far right of the centre row. An identical (improved) photo is attached (in 2018) from the Ralph Tucker collection. Ralph Tucker is standing to the right behind the officer (centre). 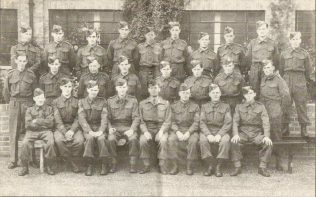 Can anyone recognise other members of the platoon. If so, please click on the words Add a comment about this page below. First right, back row, looks like someone from the Heavy machine shop, Nobby ? ; second right, back row, possibly Les George, and fourth left, back row, someone from the boiler yard who used to work on the flame cutters, unfortunately I can’t remember a name for him. Stan Russell, middle row far left. Les Wheeler is front row, far right. Cyril Hurcombe is seated front row, second in on the right of the photograph.